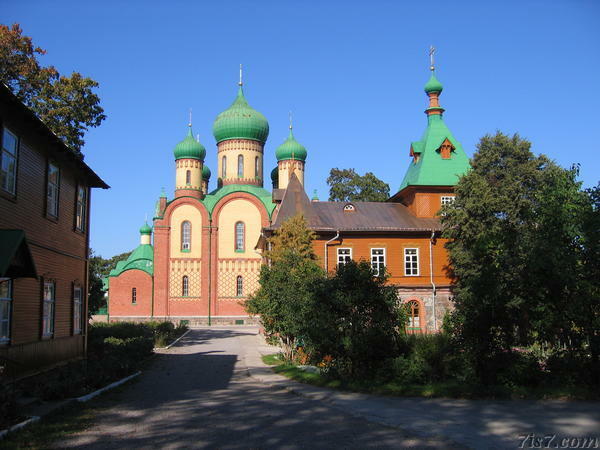 The Kuremäe orthodox convent (also known as the Pühtitsa convent) is located in Ida-Virumaa (in the north-east of Estonia). 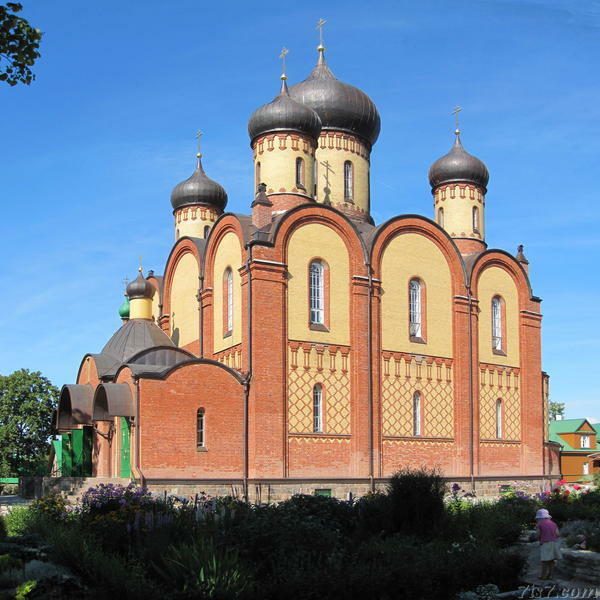 It was built at the end of the 19th century. It is still in use today and is home to about 100 nuns. The area of the monastery is surrounded by a wall. Location: 59°11'57"N 27°32'5"E on: Google Maps, OpenStreetMap, Maa Amet.